T.J. Dillashaw was reportedly tested for EPO in both bouts with Cody Garbrandt. Cody Garbrandt was outraged when he found out that one of T.J. Dillashaw’s drug samples wasn’t rigorously tested for EPO, the injectable only performance-enhancing substance his former teammate tested positive for earlier this year. Garbrandt demanded that the United States Anti-Doping Agency (USADA) retest Dillashaw’s previous samples for EPO but, according to UFC Vice President of Athlete and Health Performance Jeff Novitzky, Dillashaw was tested for erythropoietin prior to both bouts with ‘No Love,’ and the results came back negative. This according to a recent interview with MMA Junkie, where Novitzky claims Dillashaw was also tested for EPO in relation to his fights against John Lineker and Raphael Assuncao, which both came back negative. With that said, Novitzky says USADA will be re-testing Dillashaw’s previous urine samples and went on to explain how the anti-doping agency conducts its business. “All the testing … is strategic testing,” Novitzky said. “There’s a reason behind the test that they do. And when it comes to EPO analysis, what I believe they’re doing is passport information, so they’re looking at urine and blood markers over time. That data is put into a computer, and there’s an algorithm that would spit out something that would have a red flag or be a bit suspicious, and those fighters are the ones that they want to dedicate extra testing dollars to. 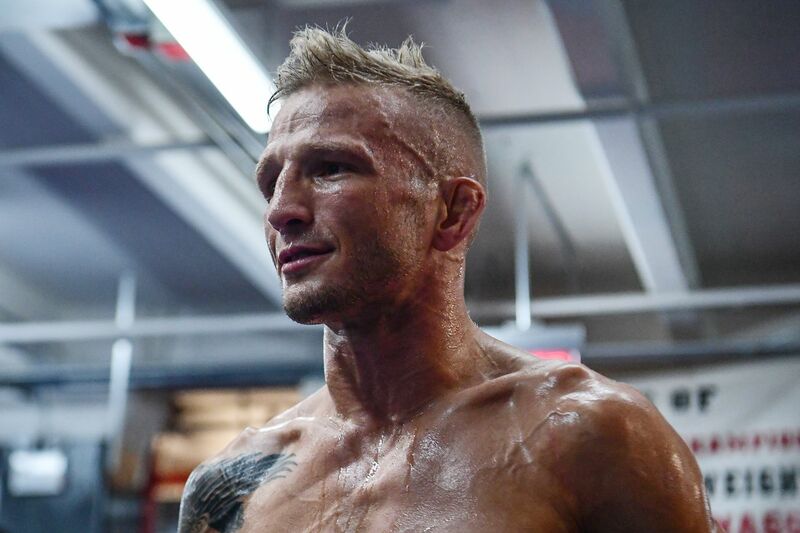 Dillashaw, the former UFC bantamweight champion, has been suspended for two years and will not be eligible to return until January 19, 2021 at the earliest.